A drill is a must-have tool for all kinds of DIY repairs and plenty of other tasks. If you want to have the freedom to fix some things around your house without the need of calling for a contractor, you will definitely need to have a drill on hand. Cordless models are the best for this purpose as DIY works don’t require the power offered by corded tools. They are also much lighter and easier to use, so they can be handled by men and women with equal efficiency. Another benefit of the best cordless DIY drills available today is the fact that they also serve as screwdrivers. The vast majority of these tools come with a kit full of drilling and driving bits. Therefore, they are highly versatile and can be used for a great variety of tasks. Hanging pictures on the walls. Drilling holes for anchors or any other purpose. These are only the most basic applications for the best DIY drills. You will definitely find quite a few more as you learn to use the tool and see what it’s actually capable of. The tricky part is choosing the best drill for DIY. There are so many of them available today that finding the one that is truly the best becomes a challenge. To do this, you’ll need to know what to look for. Consider your needs and decide on the features you need most. Choose your perfect tool among the best DIY drills based on these considerations. 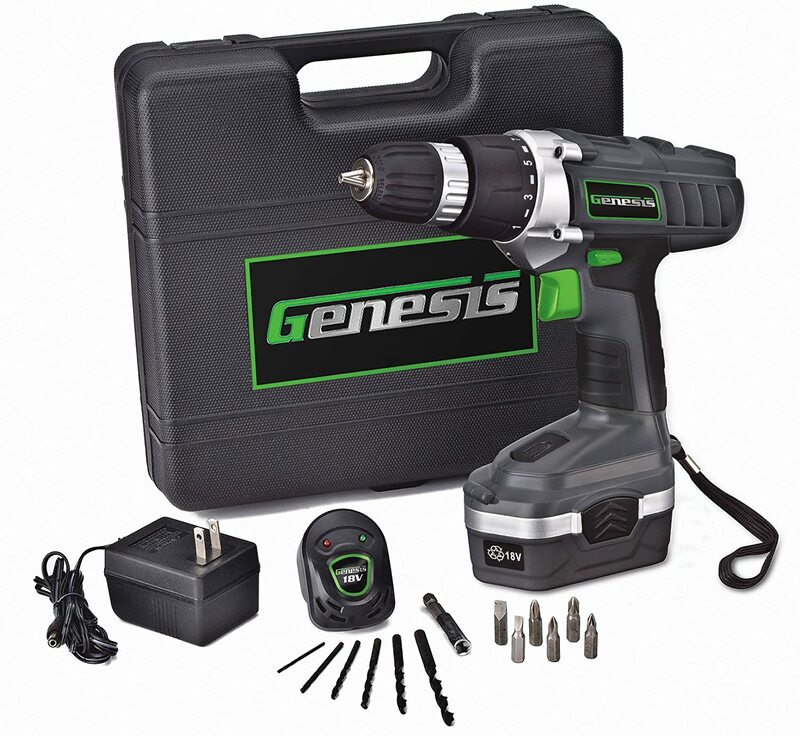 Measured in volts, the power of the tool will determine how efficient it will be in handling various materials and how long you will be able to use it as the more power the tool has, the less time the battery will hold. Luckily, the best DIY drills today come equipped with very good batteries, so you can be sure that the tool will hold the charge long enough for you to complete any kind of work. The best drill for DIY should have around 10-20V of power. Gears control the power output from the motor to the drilling/driving bit. If you want to be able to work with different materials, including masonry (clay, porcelain, etc. ), you should look for a tool that has more than one gear. That is a must-have feature if you want to get the best drill for DIY. The best DIY drills usually come with several speed settings. This allows you more flexibility when working with different types of materials, which increases your accuracy and efficiency. The best drill for DIY should have at least 2 speeds, 0-400 and 0-1500. 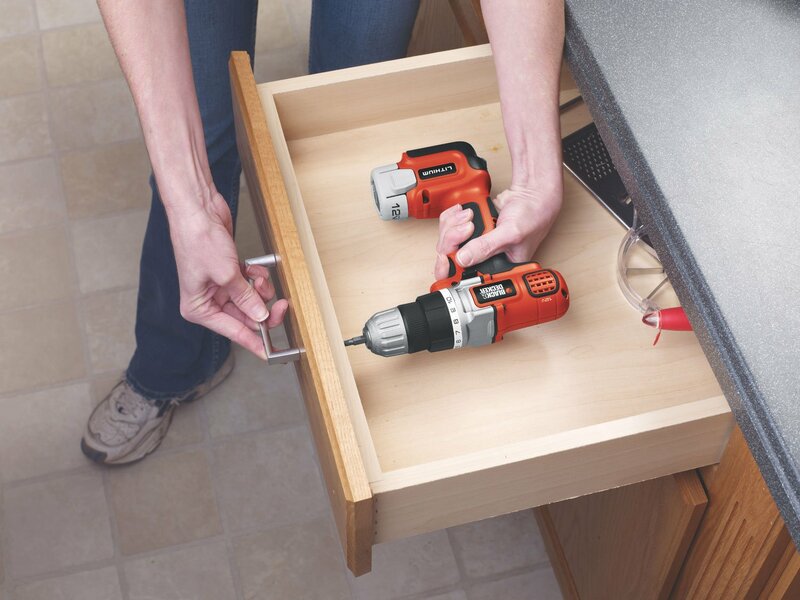 The more drill/drive bits you have, the more tasks you will be able to accomplish using your drill/driver. The versatility of this tool is its most attractive quality, so it’s no wonder that the best DIY drills come with a kit full of various bits. In many cases, you can buy additional sets for more specialized tasks. The best drill for DIY must be lightweight and fit comfortably into your hand. Look for models with ergonomic grips as they are easier to handle. Additional perks, like a LED light, will also come in handy. Keep these things in mind when searching for the best drill for DIY and you will definitely find the one that is perfect for you. I’ll try to help you by narrowing down the choices by listing 7 of the best DIY drills you can find on the market today. The LDX112C is the best drill for DIY out there if the customer ratings are to be believed. 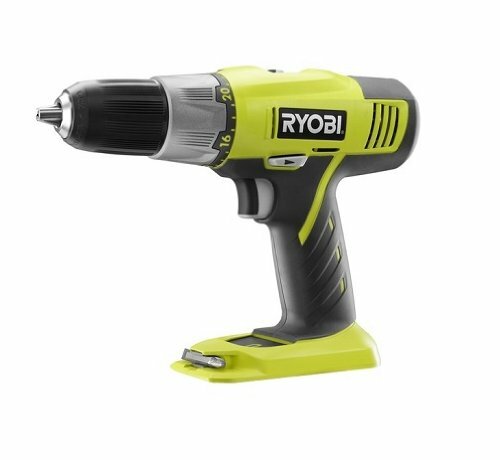 It’s a 12V drill/driver that comes with one Li-Ion battery of excellent quality and an 11-position clutch that allows you to work with different types of materials efficiently and comfortably. The tool itself is compact and light. It features anti-slip soft grip that makes working with the LDX112C an easy and comfortable experience. According to the vast majority of reviews, this particular model from Black & Decker offers great performance and value for its price. Even though the battery charge is relatively small, it holds quite well. Check out more info about the LDX112C and its price on Amazon. 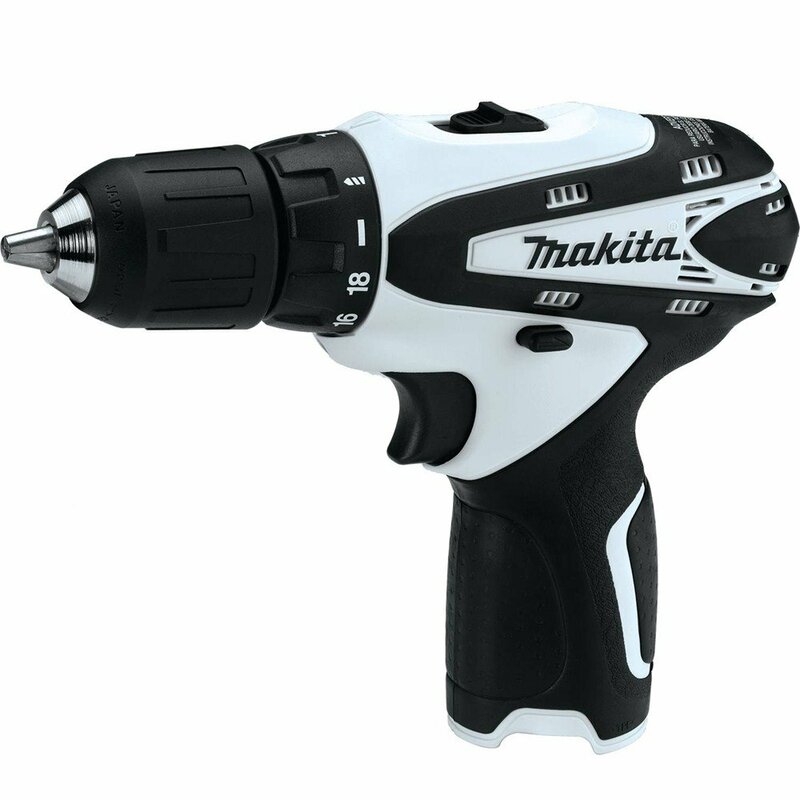 This is an excellent drill/driver from Makita, a renowned manufacturer of power tools. Therefore, you can be sure that it’s one of the best DIY drills on the market. The tool is ultra-compact and features a powerful Makita-built motor. It also has two speeds (0-350 and 0-1300), which allow you to perform intricate tasks, like drilling holes in porcelain, with extreme accuracy. The FD02Zw even has an in-built LED light that makes drilling holes or driving screws into hard-to-reach areas more comfortable. The reviewers praise the drill/driver’s design and overall efficiency. This tool is very light and its ergonomic handle makes it easy to work with. Take a look at the price of the FD02ZW on Amazon. The GCD18BK is the best DIY drill for you if you are looking for a powerful tool that can handle any type of material with ease. It comes with an 18V battery that holds the charge well enough to last through a rigorous DIY repair session. This drill/driver features a 16-position clutch and an electric brake, which ensure easy control of the tool. According to the reviews, the GCD18BK is one of the best DIY drills due to its versatility and high quality. Check out the price of the GCD18BK on Amazon. As far as DIY drills/drivers go, the P271 is definitely one of the most efficient. It features a 24-position clutch and 2-speed gear box that allow you a great level of flexibility when it comes to working with different materials. It also has a magnetic holder, which increases the convenience of using the tool. 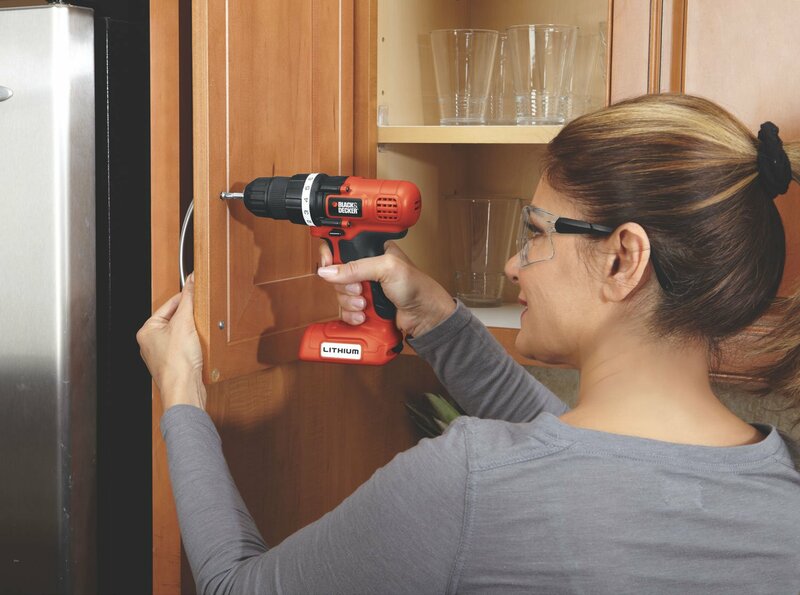 The reviewers say that the P271 is the best drill for DIY because it’s easy to use and can benefit any home. It allows great accuracy and the overall quality of the device is high. Check out other features and price of the P271 on Amazon. The LDX172C model is not very powerful but its high quality and overall efficiency make it one of the best DIY drills one can find. It’s light and very comfortable to hold due to the special design. It also features a fan-cooled motor that will last longer. The people who used this drill compliment its performance and durability. Take a look at a detailed list of the LDX172C features and its price on Amazon. 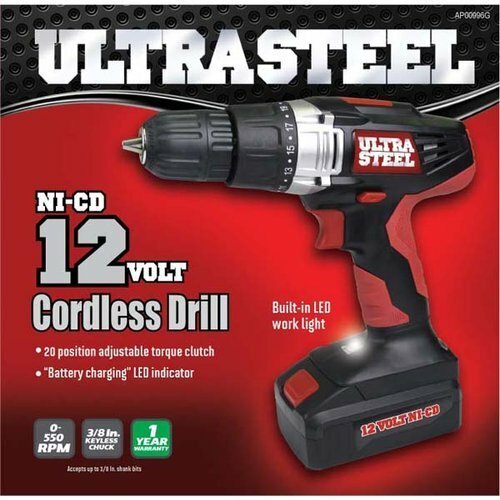 This particular drill/driver from Ultra Steel is a versatile tool that definitely fits the requirements of the best drill for DIY. It’s lightweight and comes with a 12V NiCad battery. It features a LED light, which allows for more accuracy. The reviews of the Ultra Steel 12V are mostly positive. People like the tool’s versatility and the fact that it’s highly efficient. Take a look at the Amazon price of the Ultra Steel. 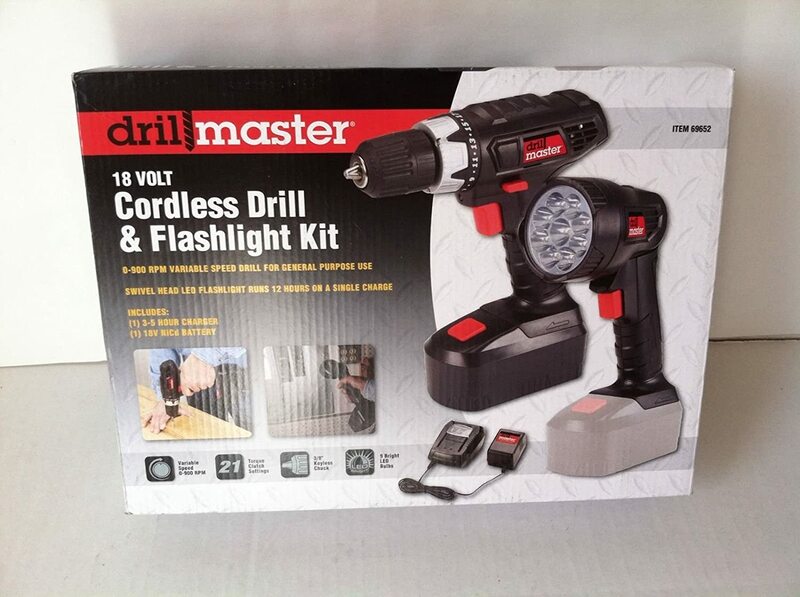 This kit by Drill Master features a high-quality versatile 18V drill/driver and a swivel-head flashlight that will allow you to see into the hardest to reach places. The tool features several speed settings for increased accuracy. The vast majority of reviewers agree that this is the best drill for DIY as it’s affordable, efficient, and versatile. Check out the kit’s price and detailed specs on Amazon. Before drilling a hole in your wall make sure to check out my detailed review of best stud finders.